Hi! I’m Courtney, your local Postpartum Doula and Babywearing Educator. I grew up in Kailua where I still reside today. I am a mom to two beautiful keiki and a wife to a supportive husband. My most favorite pastime is hiking; you’ll usually find me on a trail. I also enjoy arts and crafts, hanging with friends and pretty much anything else. It’s taken me some time to figure out what I am most passionate about in life but here I am helping ohana’s all over Oahu may it be babywearing, belly binding or postpartum care. Here is how my journey started in all of what I do (and my stories still being written!)…….. As a mom myself I’ve used baby carriers with my children. Baby carriers were the one thing I really looked into because I knew I wanted to be close to my keiki and be hands free. Learning how to use carriers on my own led me to my love for babywearing, how carriers work, the different types and brands, and teaching others how to babywear. 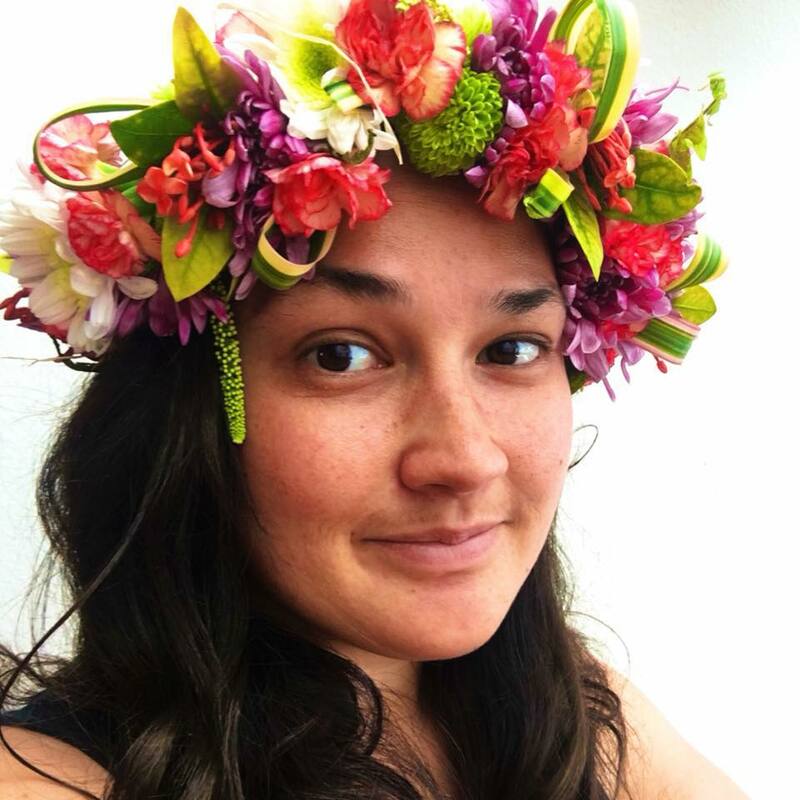 I’ve been a babywearing educator for five years now, first volunteering for the wonderful Babywearing International (locally in Oahu) then branching out into becoming a Private Babywearing Educator. I travel to my clients, bring my teaching library, demonstration dolls and my knowledge on baby carriers! You get a one to one intimate session in the privacy and comfort of your home, pre or post baby. In my time of helping caregivers with babywearing, mixed with my personal postpartum journeys, I had a desire to further my understanding of how to assist and support others in the postpartum stage. Recently I became a Postpartum Doula to fulfill this desire. I offer postpartum services to Oahu ohana’s and individuals. These services range from mommy and baby support to breastfeeding support to meal preparation and more. I also offer Bengkung Belly Binding and Traditional Mexican Postpartum Care. As a Kanaka Maoli myself I take much pride in my own culture. Therefore I am honored to uphold the values of other indigenous cultures. It is important to remember and perpetuate these values and customs and honor them. All in all, making ohana’s feel valued is of utmost importance to me. If ohana’s are healthy then babies have a higher chance of being healthy too. If we honor ohana’s and makuahine (mom’s) and give them the capacity to honor themselves, I truly believe an ohana will flourish. If I have been able to support you, it’s been an honor. If you’re thinking about contacting me, it’ll be an honor to work with you!